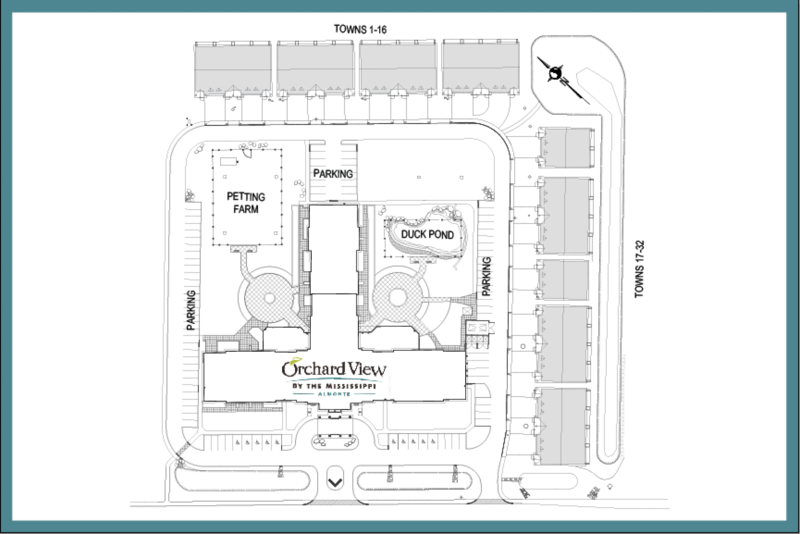 At Orchard View by the Mississippi Retirement Community, you can pick the lifestyle options that’s just right for you. We offer an Active Adult Lifestyle in our Town homes or select from our four living packages in our Retirement Residence so you can choose what suits your interest and needs best. Petting farm to be enjoyed by family and friends. Walking paths both indoors and outdoors. Welcoming environment from residents and staff. These services can be added on for an additional fee on a month to month basis.